Almost everyone ever tried their luck with the Wheel of Fortune, while it is being spun by its patroness, the goddess Fortuna. As a rule, she is blind, but not today, while you start playing Wheel of Fortune: Ultra 5 Reels fun slot machine. 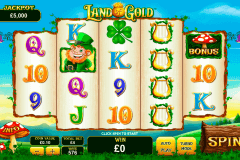 IGT free slots online games got the luckiest new slots online game, and you can try it to check out how big is the win that Fortuna prepared just for you. 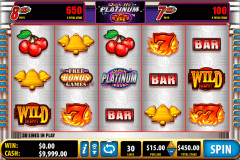 This newest, cool video slot contains numerous massive payouts that you need to get. Free online casino video slot offers you to win up to 10000x, and then the wheel will just keep turning you in the right direction to some more wins. The spinning got so much easier now, with its convenient Auto Spin Feature, that will keep spinning the reels until you will press the stop button. In the game, there are 2 types of Multiplying Wilds, that will help you to spin in the winning direction. The Scatter Wheels Bonus will be activated when 3 or more Scatter symbols appear in any position on the reels, and its win will be independent of the line wins, but will be added to the total amount paid. The Ultra Wheel Bonus is set in motion by 3 Bonus symbols occurring in any positions on the reels, each reel determines if one wheel is inactive, active, or has a multiplier value in addition to being active. And then get a chance to win from 500x to 10000x in a play. Free slot games online with bonus rounds will make you feel like a happy and a little nervous while your interest will grow and grow to get the biggest win possible. The real casino atmosphere can be guaranteed while you are in the game, so be ready for something cool and unforgettable. All in all, you should realize that the online fortune is really wanting you to win, that’s why she is starting to roll her wheel right now!